• Brexit concerns continue to dent sentiment surrounding the GBP. • Renewed USD buying interest prompts some aggressive selling. • Technical selling below 1.29 handle aggravates the downfall. 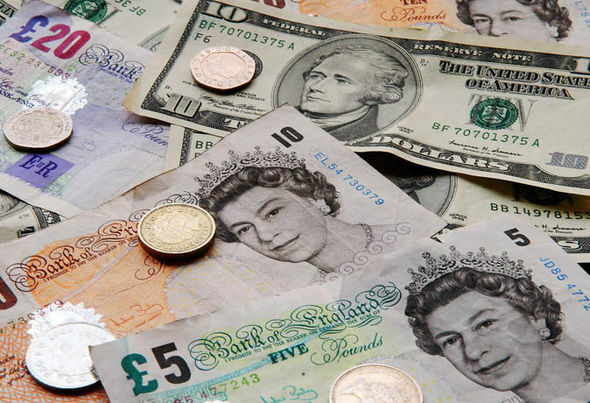 Bearish pressure surrounding the British Pound remains unabated, with the GBP/USD pair weakening farther below the 1.2900 handle to its lowest level since late August 2017. After an Asian session uptick to an intraday high level of 1.2960, the pair came under some intense selling pressure and resumed with its well-established bearish trend. Against the backdrop of Brexit uncertainties, a goodish pickup in the US Dollar demand was seen as one of the key factors exerting some additional downward pressure on the major. Adding to this, possibilities of some short-term trading stops being triggered below previous YTD low level of 1.2920, set on Monday, and a subsequent break below the 1.2900 handle seems to have further aggravated the selling pressure over the past couple of hour. In absence of any major market moving economic releases, traders might now take cues from Richmond Fed President Thomas Barkin's scheduled speech. The key focus, however, would be on this week's important macroeconomic releases, including the prelim UK Q2 GDP growth figures and the latest US consumer inflation figures, which will be looked upon for some immediate respite for the GBP bulls. The bearish slide now seems to have paused near a short-term descending trend-channel support on the daily chart. A convincing break below the mentioned support would open room for an extension of the near-term downward trajectory, albeit near-term oversold conditions might help limit deeper losses, at least for the time being.